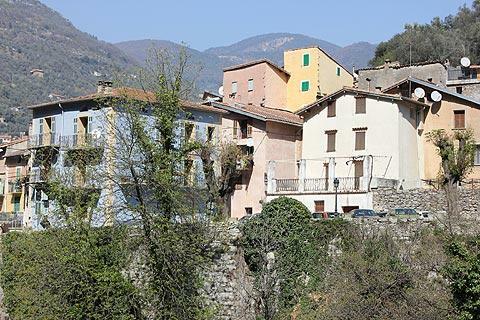 The small town of Breil-sur-Roya is at the southern end of the Upper Roya Valley between Sospel and Tende, in an attractive location on a broad meander in the river Roya with steep hills rising all around the town. 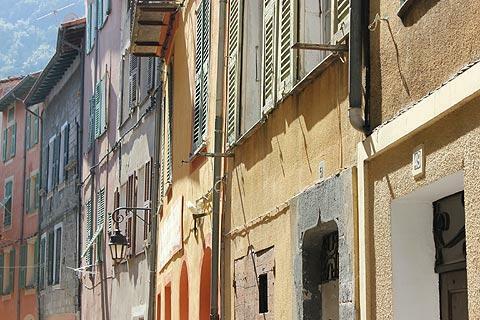 There is parking space in the centre of Breil-sur-Roya, close to the tourist office and old town, and the best place to start your visit. 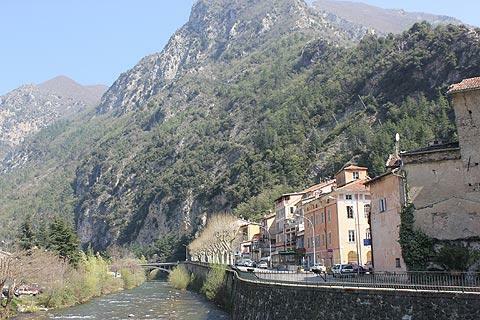 The town is also a stop on the train line called the Train des Merveilles that operates between Nice and Tende. First take a stroll along the river front to better appreciate the town and the surrounding landscapes - very impressive with the forested hills rising steeply on all sides of the town. 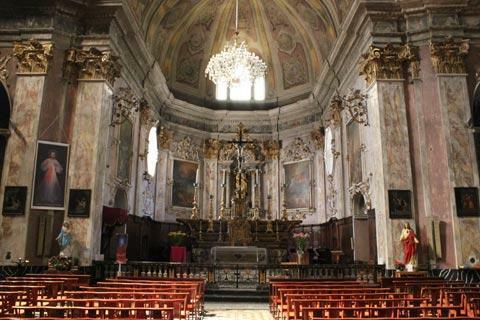 - the Church of Sancta Maria in Albis is the principal church for the town. 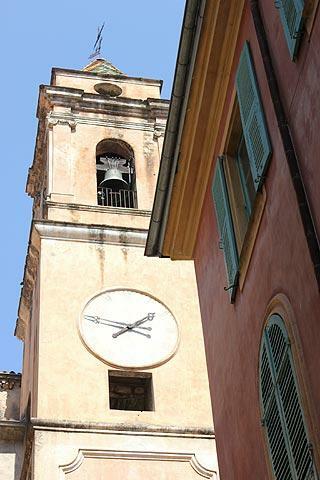 It was built over the last four decades of the 17th century and a baroque facade added early in the 18th century. 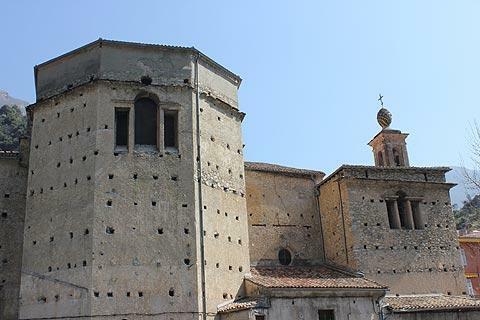 The rear of the church (the side of the river) shows more of the original design of the church. 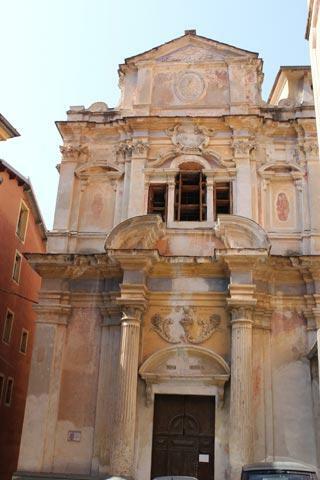 Be sure to enter to see the extensive use of marble decoration, the painted ceiling and the gilded capital stones. 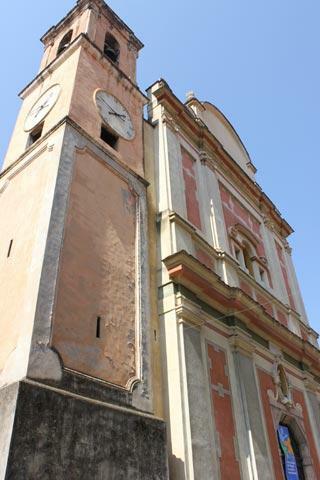 - the Chapel of the Misericorde is a baroque style chapel of the 17th century, and has the most interesting facade of the three churches (although rather neglected). 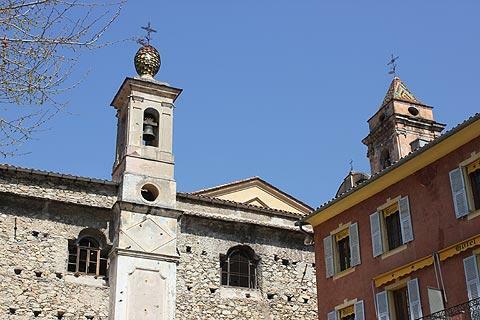 Note the belltower and dome covered in coloured tiles to one side of the chapel. 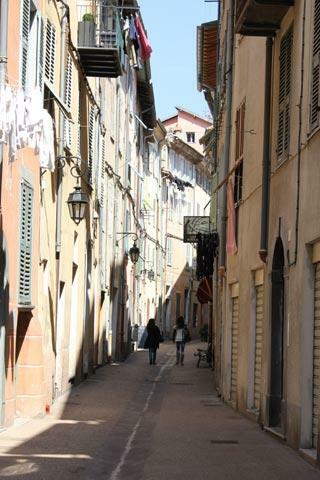 Behind these squares and running parallel to the river the narrow streets of the old town are interesting with several of the tall buildings painted in attractive pastel colours. 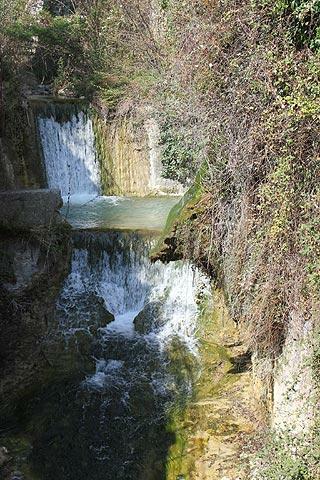 Most visits to Breil will be part of a tour of the picturesque Upper Roya valley. 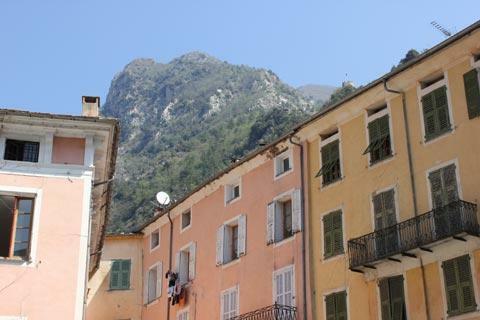 Particular highlights include the village of Saorge, a few kilometres north of Breil-sur-Roya, La Brigue, the mountain town at Tende, and the chance to explore the Mercantour National Park and the Valley des Merveilles.